The Inaugural Nora Salon is January 20! a monthly reading series to promote and support women playwrights. Our inaugural salon is happening on Inauguration Day. Christine Farrell’s full-length play, Our Half of the Sky. An intimate portrait of the fight for women’s suffrage, Farrell’s Our Half of the Sky depicts flesh-and-blood history emerging from kitchens, seances, and convention halls. A reluctant leader at first, Elizabeth Cady Stanton rises to prominence in the late 19th-century lecture circuit, but ultimately comes into conflict with former allies when they vote to exclude women’s suffrage from their platform. 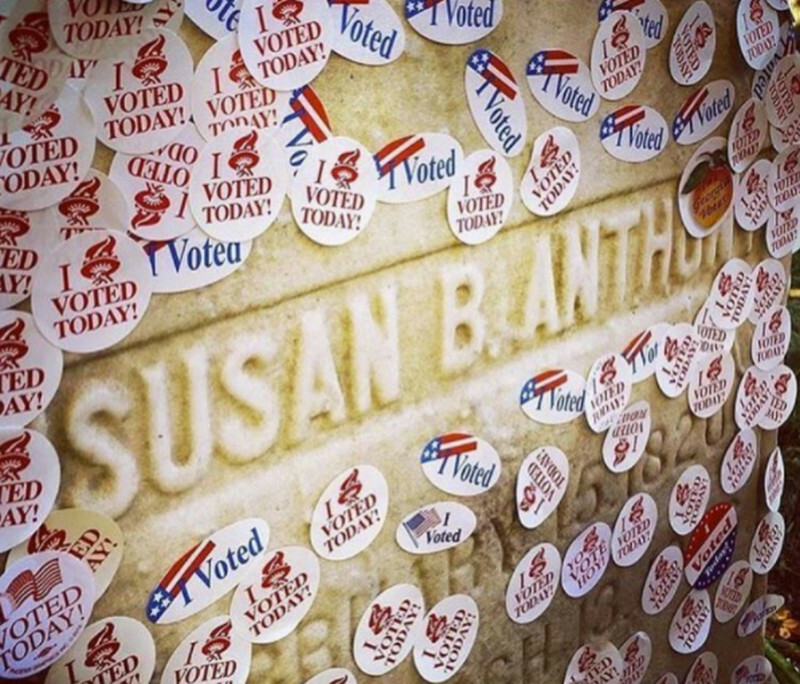 Through Stanton’s relationships with Frederick Douglas, Susan B. Anthony, and her own abolitionist husband, the play explores a character who finds the roots of her passion, even as she loses the battle for suffrage. Special guest Sweet Megg of Sweet Megg and the Wayfarers will be performing the play’s musical interludes with another member of the band. The guest list for January’s The Nora Salon is now FULL.